If a survey went out I think we would find that almost everyone has some fear of the devastating effects of Alzheimer’s disease. Those of us that have watched a friend or loved one go through this horrible slipping away of the mind are even more afraid. Modern medicine has no cure, but research is showing that there are things we can do to prevent, slow down, and sometimes even reverse the effects of this horrible disease. Some people blame the plaques in the brain for causing cell death, other people attribute it to inflammation. Either way there are things we can do for ourselves and our loved ones. Diet: An anti-inflammatory diet is a must for optimum brain health. This includes eliminating some things, and adding others. Eliminate: Grains and sugars, smoking and things high in Omega 6 fatty acids, such as processed foods and margarine. Coconut Oil: This amazing medium chain fatty acid reduces inflammation and feeds the brain. Studies show that four tablespoons per day can slow down or even reverse Alzheimer’s symptoms. These four tablespoons can be eaten, or smoothed on the skin. Vitamin D: Whether you get it through sunshine or a supplement it helps protect the body from Alzheimer’s, along with a myriad of other problems. The lower your Vitamin D levels the higher your risk of Alzheimer’s and other forms of dementia. Tea, Wine and Chocolate: We have all heard that alcohol kills brain cells, but a glass of wine every day can actually protect them. So can tea and chocolate, as long as the chocolate is a dark one with very little sugar. Adding all three to your diet seems to do the most good. They attribute the success for resveratrol which is found in all three. Resveratrol can also be taken as a supplement or found in raspberries, mulberries, blueberries, and cranberries. Antioxidants: This is a group that includes Vitamins C and E, but there are many more out there. They can be found in supplement form, or in foods. Antioxidants work to limit and heal the inflammation in the body, and the brain. Curcumin (Turmeric): is an antioxidant that has been shown to clear those nasty plaques in the brain. It also acts as an anti-inflammatory to the rest of the body, easing those aches and pains we associate with ageing. B-12: This is a vitamin that has been shown to slow brain shrinkage. You get them through meat, poultry, eggs, dairy products, and wild-caught fish. Those who avoid animal proteins are the most likely to be deficient in B-12. As we age it is harder for us to absorb B-12 through our diet, so supplementing with a sublingual (melts in your mouth) form becomes even more important. Probiotics: Your gut health plays an important role in how much nutrition you get from the food you eat. It also plays and important role in your thought process, depression and how you deal with stress. The best ways to feed your gut are through fermented foods, but they can’t contain a lot of sugar. Secondarily we can insure good gut health through supplementation. Herbs: Some beneficial herbs are well known, such as Ginko Biloba and American Ginseng. Others are lesser known, such as Bacopa. Traditionally (before people starting depending on medications) these were used to enhance memory and focus. Though it is not something you add to your diet, and many would think is should go in the elimination category, fasting has been shown to be helpful to brain health. The interesting thing is that you don’t have to do a long strict fast to be helpful. Intermittent fasting (or skipping on or two meals) as long as you don’t make up the total calories at your other meals seems to increase the brain’s capacity for stretching and self-repair. Sleeping: It’s not only the quality, but the quantity of sleep that matters. It is during sleep that your brain detoxifies, or cleans house. This includes those nasty plaques. Studies are still pointing to that magic eight hours per night. Some people need more, but very few really thrive on less. Stress: Cortisol is released whenever you are stressed or anxious. There is evidence this reduces the connections between your brain cells. This makes it harder to think, and to remember. Prescription Medications: Many prescription medications mess with your memory functions. Next time you see the doctor see which ones are really necessary, and which ones you could possibly do without. Smoking: This includes being around those that smoke. Smoking interferes with the blood supply to your brain. None of the cells in our bodies can live without blood, and the oxygen it brings to them. Exercise: It doesn’t have to be much, but we need something every day. Not only does it improve blood flow to the brain, but it releases proteins that promote neural health, and directly benefits cognitive functions, including learning. Boost your immune system: This can be done through diet, exercise and supplementation. A stronger immune system carries a lower “infectious burden”, and therefore a lower risk of cognitive impairment. Check your thyroid: Even a little bit of sluggishness can lead to memory and concentration problems. This doesn’t mean you have to be on medication, there are natural ways to improve your thyroid function. Listen to music: Studies are showing that music helps you learn and recall information. Throughout your lifetime music can help you learn new information, and recall it better later. Challenge your brain: This can take the form of learning new information or skills, or even working on crafts. The key is to do something that really forces you to think. Going through the motions isn’t going to do any good. Whatever you do needs to be done with intention and determination. Think positive thoughts: Distrust and paranoia, along with other such negative thoughts, increase your risk of dementia. If certain people keep you on edge distance yourself from them as much as possible. If you find you are constantly thinking negatively get some help. Your brain will thank you. Magnesium: This could have come under diet, but there are more ways to get magnesium than through our food. Magnesium baths and topical supplements seem to be absorbed better. Heavy Metals: Heavy metals such as mercury harm your brain as well as the rest of your body. The common sources for mercury are dental work and vaccines. 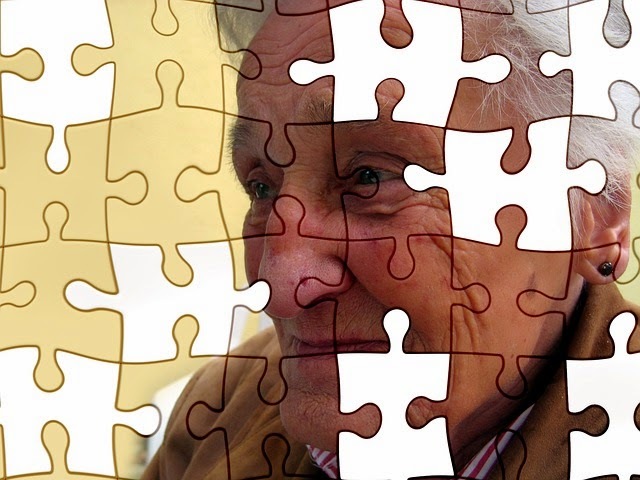 Aluminum is another one commonly associated with Alzheimer’s. You get it from anti-perspirants and cooking with aluminum cookware or aluminum foil. Prevention is a lifelong endeavor. We can start from wherever we are at today and continue for the rest of our lives. It sounds daunting, but it is a lot easier on us and our loved ones than fighting the effects of the disease.